And thinking about methods of worker’s inquiries in different forms of community organising in East London. the event in processes of videogame design and testing, Environment and Planning D: Society and Space 2010, volume 28, pages 653 – 671. Let us consider this passage from the phenomenon of its intensities and sensations, as Massumi suggests, that is from an analysis of durations. time was passing very slowly as their avatar was exposed during the reload animation. seconds during which they remained vulnerable as the grenade launcher was reloading. This shift in the game’s architecture allowed designers to alter the potentiality of users’ responses to various contextual events and encounters within any one match. This consisted of adding two seconds between action and effect. That two second potentialized the play itself in that what happens in the intensive duration is that the possibility of having an effect in the game becomes active, thus what is opened is a kind of possibility space (Delanda’s Emergence of Synthetic Reason), interactivity becomes possibilistic. Why I like and admire this passage is that Ash is able to draw our attention to the minute intensificaiton of game play in First Person Shooter games through design strategy that attends to bodily dispositions and shifts through the process of the game play. 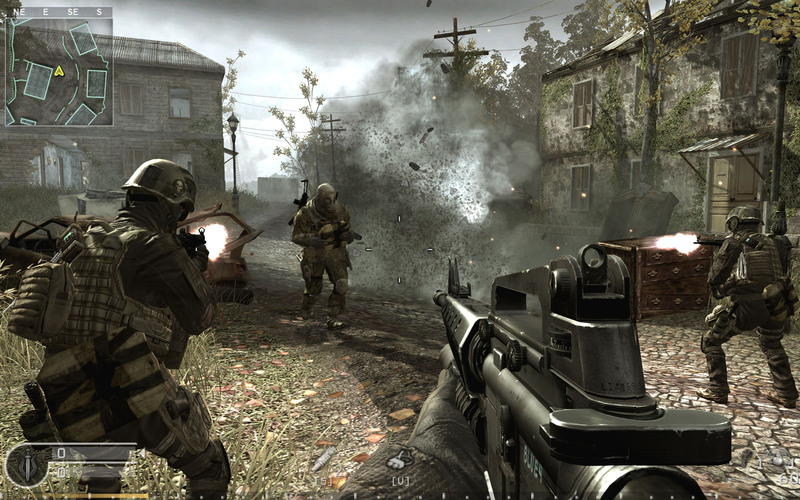 His emphasis on the immersive quality of the gameplay is also to the point: through the process players become differentially involved in performing the competitive strategy of killing the enemy player, acting as a unit, marshalling dwindling resources (health, ammunition), keep moving to the pre-set targets. Ash writes, “As a process of passing, time became more apparent to the user in the seconds during which they remained vulnerable as the grenade launcher was reloading. to successfully hit and kill an opponent.” This is what he calls the process of captivation and its differential modulation across gameplay, proprioceptive engagement (the player’s sense of bodily movement), and staging contingent events/encounters. One must say this is rather modestly put: the implications of this argument seem to me immense. The ecological perspective on affefct is effective in producing (counter-) engineering diagrams. It is processual in that it follows events through a virtual-actual circuit of becoming and being. What Ash doesn’t attend to very well, that is not ecologically enough, is the form of subjectivation this event of potentialisation incorporates. As I suggested above, potentialisation is something of the nature of a creative encounter with the world’s necessities/tendencies/capacities/degrees of freedom. We must understand FPS games as tied closely to a form of neoliberal subjectivity: the particular aggressions, anticipations, pauses, bursts (recall the pause-burst structure of Hong Kong cinema analysed by Bordwell, there is some correlation to be drawn out in terms of the modulation of intensity in martial arts films and digital FPS gaming), and so on are all linked in different ways to the sad passions of control. This is to say, that while Ash is quite good at analysing carefully the autonomy of affect (as is Massumi) through an ecological multiplicity, he is less attentive to contextualizing FPS subjectivity as it ties in with forms of neoliberal control. Admittedly that’s not his aim (nor perhaps his interest) in this article, which is focused on a kind of phenomenology of affect in game design. But to write as if the contexts of for instance the hypercompetitiveness of captialist play, the psychopathologies of security, postcolonialism, debt, and precarity, not to mention the wide ranging integration of FPS interfaces across a variety of digital platforms (recall as just one example the penultimate ‘battale royale’ sequence in kickass in which Hitgirl’s nightvision glasses becomes a firstperson shooter perspective)–all these contexts play into the ecology of affect, directly and indirectly. Which leads us to pose the question of gameplay design from the perspective of an analysis of capitalist subjectivity today, which potentializes affect to the extent that immersive integration is successfully modulated to add value and accumulate brand equity, a kind of accumulation in the realm of affect (Clough). Ash ends his essay by noting that most FPS games don’t in fact do this: they fail at capturing attention.